← Jack D. Marsh Sr.
Lorraine M. (Raymond) Tucker, 88, of Keene and formerly of Bennington, NH. died on Monday, September 10, 2018 at Keene Center Genesis in Keene. She passed peacefully while sleeping after a period of declining health. 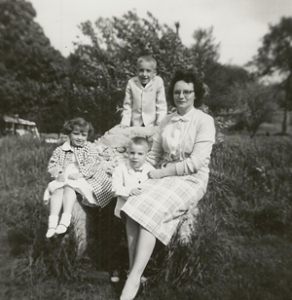 Lorraine was born the daughter of the late Lydia (Short) and Alfred Raymond on December 20, 1929 in Plymouth, NH. She was educated in North Stratford and graduated from North Stratford High School class of 1947. 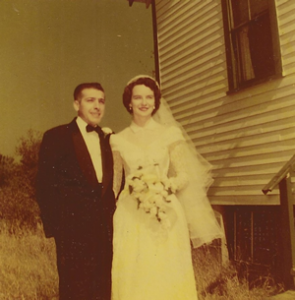 On October 10, 1953 she exchanged vows with Benton L. Tucker at the Immaculate Conception Church in Troy. They were married with family and friends in attendance. Sadly, Benton passed in May of 1996 after forty-two years of marriage. Lorraine worked for the U.S. Postal Service where she became the Postmaster in the Town of Bennington, NH. She retired in 1991 after twenty-four years of service to the community. She had many interests in life. Time was spent sewing and baking. Lorraine was always the doting grandmother making costumes for the kids and sewing when needed. She was always up for watching the little ones. It was her special time to be with them. Mrs. Tucker is survived by her children; Robert Tucker and his wife Cynthia of Swanzey, Diana Conley and her husband Scott of Troy, and Steven Tucker and his wife Maria of Centennial, CO. Her siblings; Doug, Harold, and Pauline. Her grandchildren; Matthew Tucker and his wife Christina of Londonderry, Andrew Tucker of Swanzey and Danielle McInnis of Salem. Her great-grandchildren; Dominic, Evelyn, and Easton. She is also survived by; cousins, nieces, nephews, extended family and friends. Lorraine is pre-deceased by her siblings; William, Leon, Wilfred, Herbert and Larry, who all passed earlier.